When Ashley Holden saw a message on the U.S. Ag Ed listserv about the Fulbright Distinguished Awards in Teaching Program, her interest was immediately piqued. After perusing their website, she realized she had a unique perspective to share. “I saw a lot of history and math teachers, a few science teachers, a few CTE educators, but nothing really tied to agriculture,” she said. She decided to apply. She describes the application process as taking some time, but not overwhelming, and in In April, Holden was selected for the 2018 award. She will spend January through June of next year in the Netherlands conducting research related to best practices in agricultural education. Holden, an animal science teacher at Smith Vocational and Agricultural High School in Northampton, Massachusetts, felt she didn’t have a lot of resources to help students find careers or postsecondary educational opportunities in that field. “When I was researching this opportunity, I was thinking about how well-prepared students from the Netherlands are, and how different their schools are,” she said. While she’s in the Netherlands, Holden will learn what agricultural education is like by visiting classrooms, teacher preparation programs, policy makers, and agriculture producers. She’ll also have the opportunity to review academic research that has helped form the Dutch system for agricultural education. Fulbright covers the travel and living expenses for award recipients, and even allows for a family stipend if participants choose to take their spouse or family. Holden’s husband, a science teacher, plans to move to the Netherlands with her, and they even are thinking about starting a podcast to share their experiences in real time. Although she’s still exploring exactly what the end result of her research will look like, Holden knows she wants to come away from the experience with a solid set of resources she can share with other agriculture teachers in the U.S. In addition, a better understanding of how to prepare agriculture students for their next steps after high school, coupled with her status as an alumnus of the Fulbright program, may give her opportunities to help influence policy makers or other administrators in supporting students. Partnerships are often a huge contributor to the successes of our students and agriculture programs. 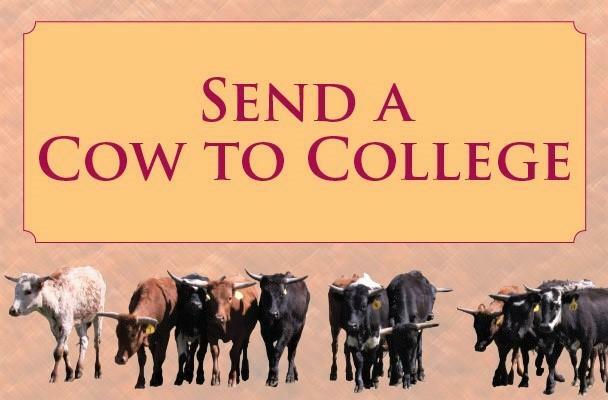 From the local beef cattle association partnering with your FFA chapter for a fundraiser, to sponsor-funded initiatives that span the entire United States; it is partnerships that provide our students learning opportunities and help them develop lifelong career skills. One unique partnership we have in agricultural education is with the World Food Prize Foundation. Since 1995, high school students from around the world have been given the opportunity to participate in the foundation’s Global Youth Institute. This three-day event pairs students with teacher mentors to discuss pressing food security and agricultural issues with international experts. During this experience, students are able to interact with both Nobel Peace Prize and World Food Prize Laureates. Since 2000, Ambassador Kenneth Quinn has been the President of the World Food Prize Foundation and has worked tirelessly to raise awareness of global food insecurity through the Global Youth Institute. Through his 32 years of experience in foreign service, diplomacy, and food security, Ambassador Quinn has made a profound impact on the lives of students and teachers in agricultural education. His dedication the philanthropy is the reason he was selected as the 2016 NAAE Region III Outstanding Cooperation award winner. Ambassador Quinn realizes that the first step to addressing global food insecurity is through proper education about agriculture and food, which is why he chooses to connect with agriculture teachers and students. In an effort to reach more students through the Global Youth Institute, state-level youth institutes have been established in 15 states. These day-long institutes take place at land-grant universities, as a partnership with the institution’s agriculture college, and provide students and teachers with a snapshot of the same information and activities that take place at the Global Youth Institute. The top students at the state-level institutes are selected to attend the Global Youth Institute, to continue their education about global food insecurity. Through these various institutes, Ambassador Quinn is able to gather stories from agriculture teachers and students that he uses in his efforts to help raise awareness about global food insecurity. Partnerships like these allow agricultural education to reach farther than the walls of our classrooms. It is opportunities like these, for us and our students, that allow us to truly make a difference in the lives of every person on the planet – yet another reason that agricultural education’s value is immeasurable. For more information about the World Food Prize Foundation, click here. Wanting to find out more about the State Youth Institutes? Check out this link. Interested in finding out more about the Global Youth Institute? Follow this link. Ambassador Kenneth Quinn was the 2016 NAAE Region III Outstanding Cooperation award winner. NAAE recognizes organizations, agribusiness companies, and others who have given outstanding support to agricultural education with the Outstanding Cooperation Award. The plaques for this program are sponsored by Forrest T. Jones & Company. 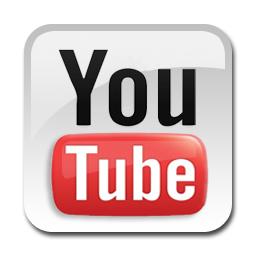 For more information about NAAE awards and programs, please follow this link. We’re all busy. Well, “busy” might actually be an understatement, but is there even a word that encompasses everything we do as ag teachers? From lesson planning, to CDE prep, banquet planning, advisory board meetings, and the email your principal just sent about needing you to volunteer to sell concessions at Friday night’s football game – it never ends. While our calendars are filling up with personal and professional duties, it is a relief to know that the ag education family is an excellent resource and support group. Thanks to NAAE’s Communities of Practice, ag teachers are able to share ideas, lessons, tips, and so much more! Since its update last summer, CoP now offers many new features that help make it even more user-friendly, including better organization and structure, and a search bar that populates what you are looking for as you type. Even though it may take a few extra minutes of your valuable time, the new CoP is definitely worth a look! To check out the new Communities of Practice site, click here. As you are taking a quick check of your phone in between class periods, wouldn’t it be great if there was a notification that some kind soul just posted an entire animal science lesson plan, PowerPoint, resource guide and assessment on the internet? Well, with the newly-released Communities of Practice mobile app, that wish can be a reality. Through push notifications, you can have the lesson plans you’ve left sitting on the back burner at your fingertips in seconds. Looking for the most updated rules and regulations for Parliamentary Procedure? Need a PowerPoint about the elements of floral design? What about a diagram of the skeletal structure of a dairy cow? DONE, with one quick tap! So now, instead of spending your hall duty arguing with the gym teacher about who will win this weekend’s football game, you can now use those couple of extra minutes to search for next week’s lessons. We hope you enjoy the new Communities of Practice, with all of its upgraded features. If you have any questions about using CoP, or setting up an account, please contact CoP administrator Julie Fritsch at jfritsch.naae@uky.edu. Click here for more details, and check this site for an online membership application form. National Farm Safety and Health Week--September 17-23--recognizes the importance of protecting agriculture's most precious resource--its people. 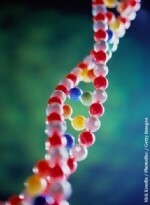 The Genetic Editing in Agricultural Biotechnology Roundtable will be hosted by the American Bar Association and the American Agricultural Law Association--in conjunction with CAST--on October 24 at the North Carolina Biotechnology Center in the Research Triangle Park. USFRA and Discovery Education teamed up to offer free lesson plans and online resources to teachers. Sponsored by the American Society of Agronomy, the Crop Science Society of America, and the Soil Science Society of America, this Oct. 22 meeting in Tampa will feature a speech by Catherine Woteki. These North Carolina State students learned about the research process by doing hands-on projects. The latest in the series of Food Dialogues will take place Sept. 6 on the Univ. of Nebraska campus. 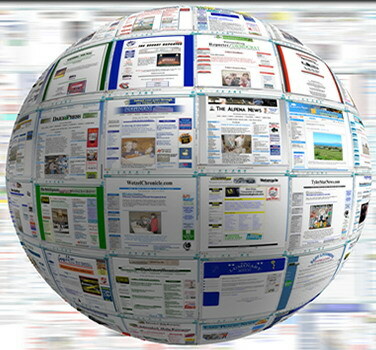 Click here for links to CAST sites: Twitter, Facebook, LinkedIn, Pinterest, videos, and blogs. the United States, Asia, and Africa. Hurricane Harvey and subsequent storms have affected thousands in the disaster zone--rescue and recovery are foremost, and many are working to help. This blog provides links to various storm-related articles--including coverage of farmers, ranchers, and agriculture workers who are desperate to save livestock, crops, and food infrastructure. 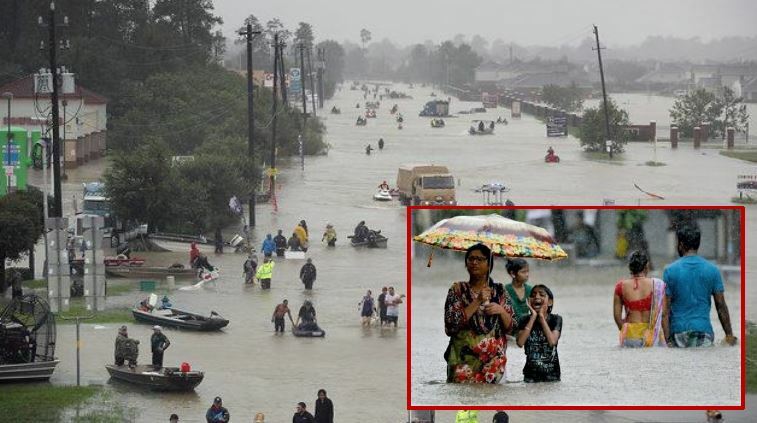 Floods in South Asia have killed at least 1,200; the Indian city of Mumbai has been inundated; and flooding in Niger, Africa, has forced thousands out of their homes. Who Do You Trust? The Center for Food Integrity released research showing that--when it comes to food-related issues--consumers trust family doctors and family members the most, followed closely by several other groups including scientists and farmers. Ag Research Funding: In the article "The Looming Decline of the Public Research University," the author bemoans cuts in research funding that have left midwestern state schools--and the economies they support--struggling to survive. Science Breakthroughs 3000: Experts from a wide range of academic disciplines have launched an ambitious search for the most probable breakthroughs in agricultural research that could produce dividends for humankind over the next dozen years. Annual Farm Progress Show: More than 100,000 people visited Decatur, Illinois, during the three days of the Farm Progress Show--a chance to celebrate agriculture. On day two, Secretary of Agriculture Sonny Perdue and others focused on agriculture policy. Moo U? This Ohio State Buckeye lists five ways cows live better than college students. Flood and Fire (video): Sharknado-type photos from Hurricane Harvey have been debunked, but it is true that fire ants have concocted "rafts" and stayed afloat. This article (with an informative video near the bottom) explains how these insects engineer such feats. Hey You, Call--Ya Dig? (video): The Peterson Brothers are at it again, but this clip is really more about safety on the farm. Bovine Identity Crisis (video): This pet cow had delusions of being a dog, but its best friend is a cat. 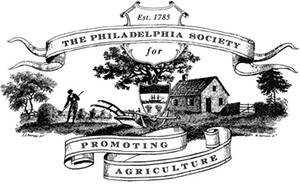 The Philadelphia Society for Promoting Agriculture is the oldest agricultural society in the United States--playing a key role in developing many of the farming methods and institutions responsible for our modern food system. Since its development in 1785, it has been promoting science in agriculture while working to generate a productive dialogue among its members, the agricultural community, and the general public. "In our early days as a country there was no USDA, no land grant college or state extension system. Societies like ours played a crucial role in promoting better practices for cultivating the land and producing crops and livestock. Today we are fortunate in having a highly developed food system that enables one farmer to provide food for more than155 people, but the challenge continues as we need to produce more from less land to feed the world's increasing population. Science must continue to play a critical role in developing crops and livestock with more sustainable farming practices. 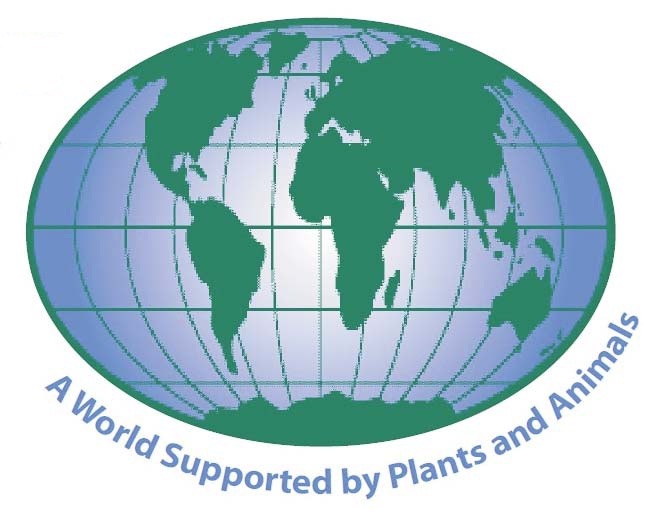 While societies such as ours are no longer directly involved in this critical work, we still need to promote the best science; and we do so each month with our meetings featuring scientific talks in agriculture and the food system. Several of our members commented that they have used CAST reports in their professional lives and greatly value the work that your organization does. CAST continues to provide our members with a valuable connection to the broader fields of science in agriculture. Our Executive Committee voted unanimously to continue our support of CAST." Photos courtesy of the Agricultural Research Service (top masthead); TopLatest News (globe at right). P. 1 flood collage from cnbc.com and bcci.co.uk, gene pic from ncbiotech.org, and cow pic from coloradomesa.com. Animal Sec. fair pic from nationalhogfarmer.com. Food Sec. cartoon from cafepress.jpg. Plant Sec. farmer pic from floridafoodandfarm.com. Inter. Sec. cow pic from pinterest.com. Gen. Sec. hedgehog pic from comedycentral.co.uk. Unless otherwise noted, photos courtesy of the USDA Agricultural Research Service. 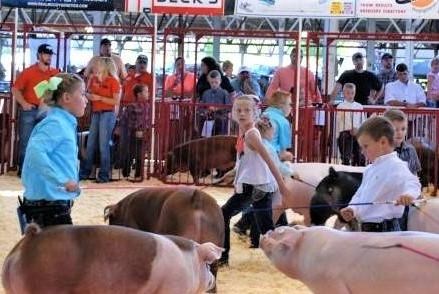 Showing livestock at the fair is a wonderful experience for youngsters, but the "final goodbye" can be bittersweet. Scan All Vertebrates (video): During the next four years, a new 3D scanning campaign will reveal more than 20,000 vertebrate specimens in stunning detail. The Versatile Pig (video): This clip from several years ago shows the amazing number of pork products used in everyday life--from toothpaste to paint to heart valves. A Day in the Life (video): To get a better sense of what life is like for a broiler chicken, this clip takes you inside a typical chicken farm. Beef in the Brave New Consumer World (opinion): The beef industry must adapt to a new reality, where Amazon and other mega companies will heavily influence consumers--think online, drones, and product selections. Milk Is Milk (opinion): The National Milk Producers Federation contends that foods labeled "milk" must come from an animal. The Other Milk? (opinion--see above): The Good Food Institute wants the use of "common names that consumers recognize" (such as soymilk) to describe plant-based milk, cheese, and yogurt names. Pork Safety: A Texas biotech business plans to unveil an approach that bolsters the meat industry's ability to stop pork tainted with dangerous foodborne pathogens from reaching consumers. Slippery Salmon: Thousands of farmed Atlantic salmon escaped in the Pacific Northwest. This raises concerns from environmentalists worried about pollution and diseases from the farmed fish. Food Illiteracy (video and opinions): The Food Literacy and Engagement Poll indicates that much of the U.S. public remains disengaged or misinformed about food--this includes a link to a satiric John Oliver video. the soul of barbecue in Charleston. Food Costs and Health (opinion): What does research show about food costs? If produce were cheaper, would we all eat better? 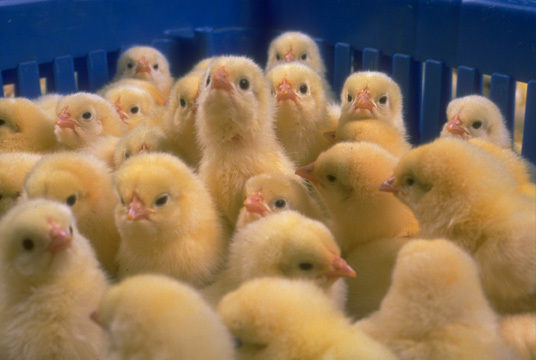 Project Canaan: Hundreds of orphans across Switzerland are receiving much-needed high-quality egg protein. Food Recalls: From May through June there were 178 food recalls of FDA-regulated products in the United States. How does that compare with previous statistics? Reading a Label: These examples of chemical compounds included in everyday products show some of the benefits they provide. Hollow-heart Watermelons: Next time you're craving watermelon for your late summer picnic, don't be afraid--it's just science working its magic. World's Oldest Edible Ham: Microbiologists say this 115-year-old piece of pork--with a nonstop, live-streamed 'ham cam' and Twitter account--is technically still edible. This farmer explains how a drone's-eye view makes field scouting better. Corn Archaeology: This Texas A&M professor says recently uncovered ancient maize (corn) reveals clues about early farming--more than 4,000 years ago. Dicamba and the EPA (opinion): This article says there have been 2,400 formal dicamba complaints and 3.1 million acres of soybeans affected. Labels Need to be Followed (opinion): Chemical producers say dicamba labels are accurate and more education about following the instructions is essential. 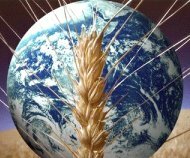 Wheat, Corn, and Rising Temps: This study says staple crops like corn and wheat--a large proportion of the world's calories and U.S. farmers' output--will likely see negative impacts from rising global temperatures. Chickpeas in Wheat Country? With a global grain glut under way, this year U.S. farmers planted the fewest acres of wheat since the USDA began keeping records nearly a century ago. Crop Residue Exchange Tool: A new online tool from the Nebraska Extension Office aims to connect farmers and cattle producers to encourage mutually beneficial agreements to use crop residue for grazing. 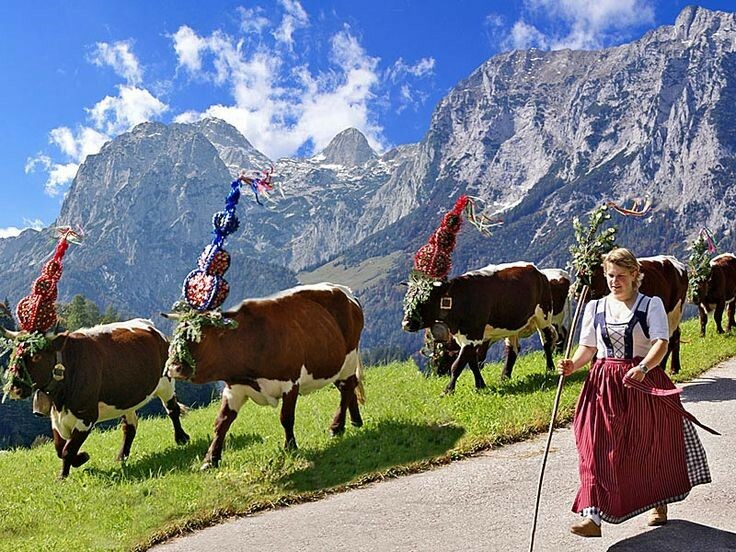 Every year in September, thousands of cows in the Bavarian Alps are given a royal welcome on their return to the valley. Freaky Fast--The Flying Version (video): From sushi to pizza, drone delivery is coming to Iceland. Hog Production in Germany: Many think the German government will soon limit the use of sow stalls even more. More Deadly Than Shark Attacks: Statistics reinforce the fact that farms are the most dangerous workplace in Australia, and quad bikes (aka ATVs or 4-wheelers) are the most lethal piece of machinery on them. Combatting Bird Flu: The Department of Agriculture in the Philippines is confident they have the recent outbreak of bird flu under control. Desierto Florio: Intense and unexpected rain in Chile has brought another desierto florio--desert flowering--to parts of the Atacama. Persian Dairies: The Iranian dairy industry is beginning to expand, as companies are looking to export to countries such as Russia. Rat Poison for Your Heart (video): The lifesaving drug warfarin owes its existence to moldy hay, sick cows, and rat poison. This clip shows how that serendipitous situation occurred. Some plants and animals reacted to the solareclipse, and some did not. 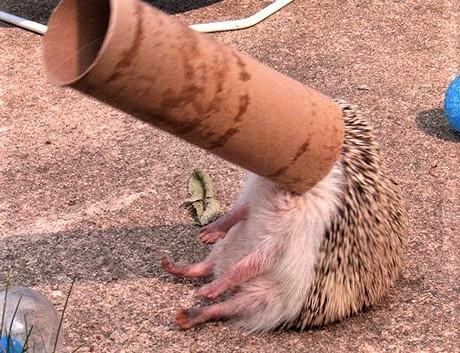 It's safe to say this hedgehog got it all wrong. Keepin' 'Em on the Farm: Going back to the family farm may be a dream for some, but that doesn't make it a reality. This couple has tried to insure that their children can farm. Who Controls Data? 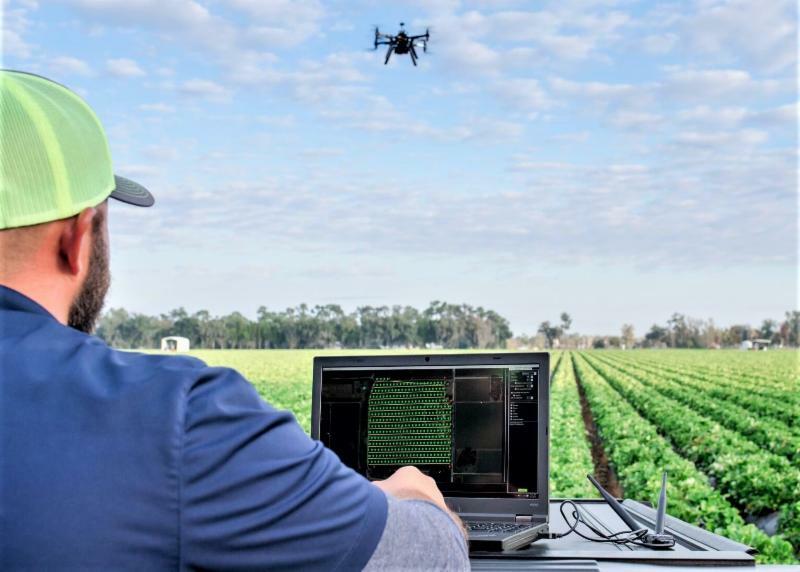 (opinion): Farmers are doing amazing things with new precision technology, but some worry that "vendor lock-in" could be an issue if farmers lose control of their data systems. 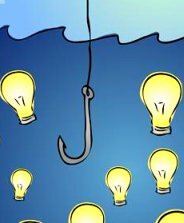 Fish Fraud Ruling: A federal plan to combat seafood fraud by requiring the fishing industry to trace their catches from boat or farm to the U.S. border survived a court challenge. Not all agree with the ruling. Turtles and Salmonella: Of the 37 people confirmed with Salmonella infections from pet turtles, a third are younger than five years old, according to this government report. Bambi Would Be Proud: A young Texas fawn is alive thanks to the efforts of a Texas A&M University veterinarian and her husband who were able to save its life after its mother was fatally injured. CAST provides Friday Notes as a benefit to its members. Please do not forward, edit, copy, or distribute the Notes in any form to nonmembers without the express permission of the CAST Executive Vice President Kent Schescke (kschescke@cast-science.org). Instead, please encourage your colleagues to join CAST and thereby become eligible for all membership benefits. Contact Colleen Hamilton at 515-292-2125, ext. 224 or chamilton@cast-science.org, or CLICK HERE for CAST membership information.